Well, that's it for me! It's been a long time since I have been able to participate in Friends With Flair. Now I need to go peek and see what other folks have created. It's time for cranking up the inspiration for home made goodness, right? Your gift card turned out so awesome! I love it! So happy to see a post from you this morning! Your cozy hat is lovely and mostly because YOU are so lovely! That tag is super sweet too! Big hugs my friend! What a great way to finish off these beautiful handmade gifts. Love the tag! I like that style hat, need to get one! 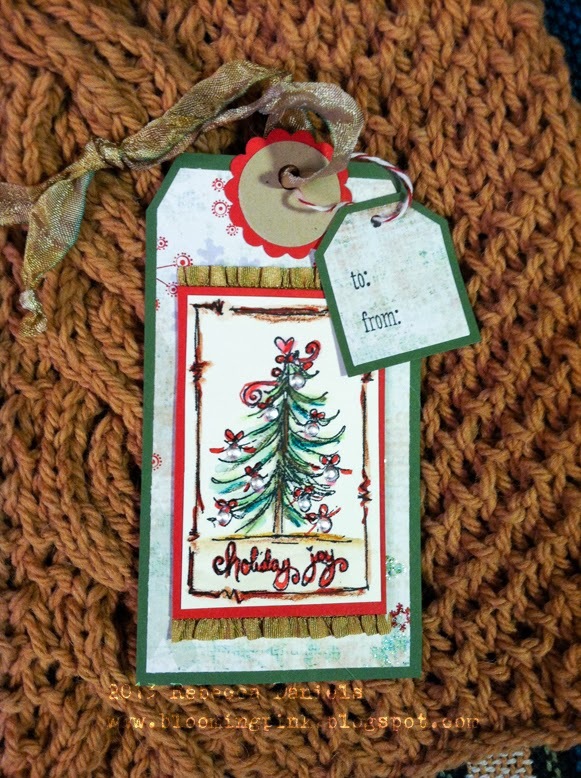 Your tree is so cute on that tag, great coloring. awe what great idea.... make your own gift tags to go on another homemade gift! Darling tag to go with that cute hat. What a great hat, and an adorable model! LOVE the tag! 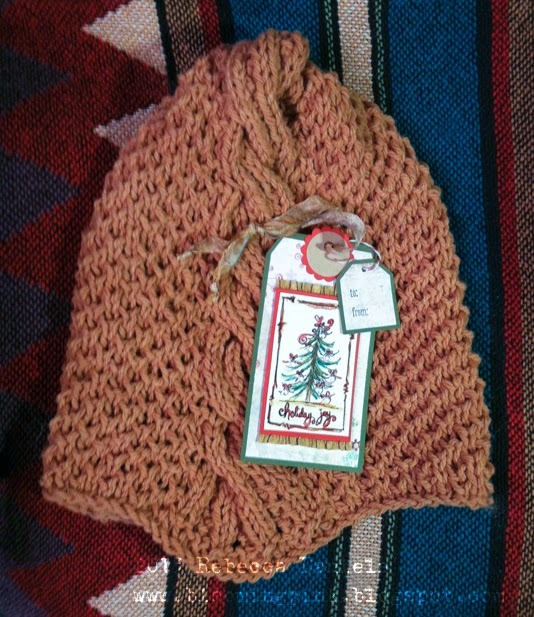 Love all the little details on the tag... and great hat too! very cute gift tag! the knits are awesome!